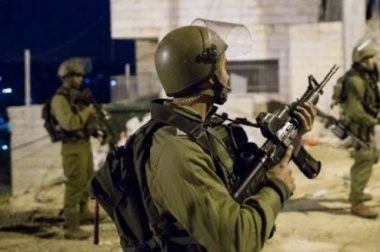 The Palestinian Detainees’ Committee has reported that Israeli soldiers abducted, Monday, 21 Palestinians, including children, during extensive and violent searches of homes, in several parts of the occupied West Bank. 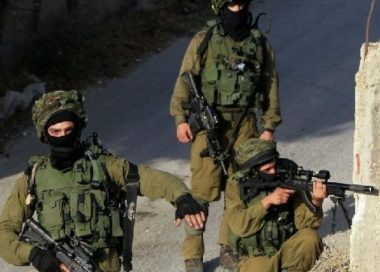 The Committee stated that the soldiers abducted four Palestinians, including two siblings, identified as Fadi and Moneeb Ghneimat, in addition to Nader ‘Oweidat and Saif Abu Zeina, in Hebron governorate in southern West Bank. The soldiers also abducted Mohammad Jamal Sayyed, 32, from Kafr Ra’ey town, west of Jenin, in northern West Bank. In Bethlehem, the soldiers abducted three children, identified as Amir Morad Taqatqa, 14, Amer Khaled Taqatqa, 15, and Ali Hamza Deeriyya, 15.
in Ramallah, and assaulted his brother, Amjad, also a reporter, after invading their homes. The soldiers forced the family in one room and took away their mobile phones while violently searching the properties. In addition, the soldiers abducted a child, identified as Mohammed Iyad Burnat, 14, from his home in Bil’in village, west of the Ramallah. His father, Iyad Burnat, a known nonviolent activist against the Israeli Annexation Wall and Colonies, said the soldiers invaded his home, and abducted his son. It is worth mentioning that Iyad is currently in Istanbul – Turkey, where his other son, Majd, is hospitalized for further specialized treatment from wounds, he suffered three years, after an Israeli soldier shot him in the leg, causing nerve damage. In occupied Jerusalem, the soldiers abducted Samer Mojahed, who works at the Manuscript Department of the Al-Aqsa Mosque. He was forced out of the mosque compound before the soldiers moved him to an interrogation facility. Dozens of soldiers, and mounted police officers, have also been deployed in Jerusalem, especially in Sultan Suleiman Street, by the Old City walls. The soldiers stopped and interrogated many Palestinians while inspecting their ID cards, and installed roadblocks in various main roads in the city, especially near Sheikh Jarrah and Wadi Al-Jouz neighborhood, and in front of the Rashidiyya School. Amir Morad Taqatqa, 14, Beit Fajjar – Bethlehem. Amer Khaled Taqatqa, 15, Beit Fajjar – Bethlehem. 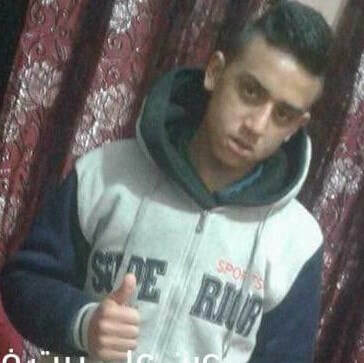 Ali Hamza Deeriyya, 15, Beit Fajjar – Bethlehem. Sharhabeel al-Khatib, Deir Abu Mashal- Ramallah. Ahmad Shamasna, Shu’fat refugee camp, Jerusalem. Moneeb Ibrahim Ghneimat, Surif – Hebron. Fadi Ibrahim Ghneimat, Surif – Hebron. Saif Abu Zeina – Hebron. Nader Oweidat, al-Arroub refugee camp – Hebron. Mohammad Burnat, Bil’in – Ramallah. Yassin Yassin, Bil’in – Ramallah. Midhat Abu Sharifa, al-Jalazoun refugee camp – Ramallah. Jamal Sayyed – Kafr Ra’ey – Jenin. Khaled Tarifi, Betunia – Ramallah. Israeli soldiers shot, Friday, eleven Palestinians with live rounds, and rubber-coated steel bullets, at the northern entrance of al-Biereh city, in the Ramallah and al-Biereh governorate, in central West Bank. The soldiers attacked dozens of Palestinians who were marching against the ongoing Israeli occupation and its colonialist policies, in addition to the illegal U.S. recognition of occupied Jerusalem as the unified capital of Israel, in direct violation of International Law and all related United Nations and Security Council resolutions. Medical sources said the soldiers fired many live rounds, wounding seven Palestinians, and added that the army injured four others with rubber-coated steel bullets. The soldiers also fired many gas bombs and concussion grenades, causing many to suffer the effects of teargas inhalation. Many local youths burnt tires, and hurled stones at the invading army jeeps. Furthermore, the soldiers assaulted many journalists, and forced them out of the area, to prevent them from documenting the unfolding events. Wassel Abu Yousef, the secretary-general of the Palestine Liberation Front, said the Israeli violence, and the excessive use of force, will not deter the Palestinians, adding that the protests will continue despite the American stances and illegal policies. Essam Bakr, the coordinator of the National and Islamic Factions in Palestine, said this protest is part of ongoing processions and activities, in various parts of occupied Palestine, including its occupied capital, Jerusalem. It is worth mentioning that the soldiers also attacked dozens of protesters along the eastern and northern borders of the Gaza Strip, causing many to suffer the effects of teargas inhalation. 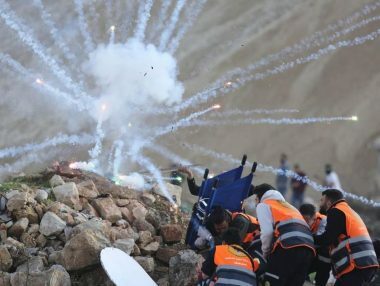 Hundreds of Palestinians matched in various parts of the coastal region, including Jabalia, in northern Gaza, al-Boreij in the Central District, and Khan Younis, in southern Gaza, while the soldiers fired dozens of live rounds, rubber-coated steel bullets, gas bombs and concussion grenades. Israeli soldiers attacked, Friday, the weekly nonviolent procession against the illegal Annexation Wall and colonies, in Ni’lin village, west of Ramallah in central West Bank, causing many protesters to suffer the effects of teargas inhalation. Mohammad Amira, a member of the Popular Committee against the Annexation Wall and Colonies in Ni’lin, said the soldiers resorted to the excessive use of force just as the protesters approached the Annexation Wall, south of the village. He added that the soldiers chased the protesters, and fired many sponge-tipped bullets, and gas bombs, causing dozens to suffer the effects of teargas inhalation. Amira also stated that the protesters chanted against the ongoing Israeli occupation, and escalating violations. He said that Israel continues to target civilians, including children, such as Laith Abu Naim, 16, who was killed by a soldier with a live round in the head, on January 30th, in the al-Mughayyir village, northeast of the central West Bank city of Ramallah. Amira added that the protesters also marched in solidarity with Monther Amira, the coordinator of the Popular Committee against the Wall, who was abducted by the soldiers two months ago. In related news, dozens of Palestinian, Israeli and international peace activists held the weekly nonviolent procession against the illegal Israeli Annexation Wall and Colonies, in Bil’in village, west of Ramallah in central West Bank. 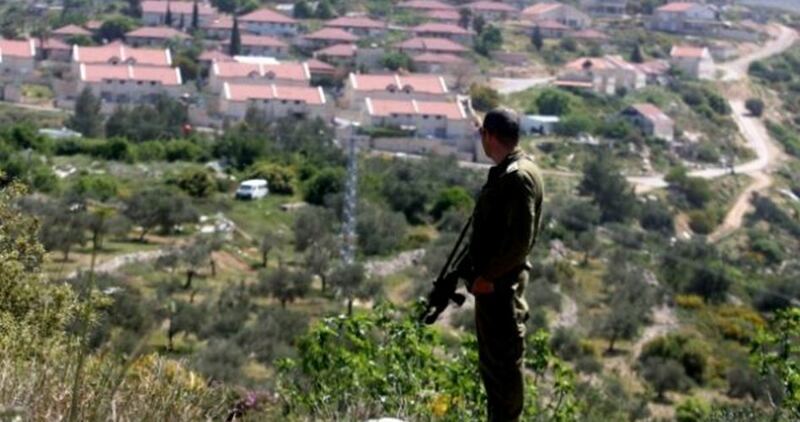 The Israeli occupation forces (IOF) on Sunday morning detained Palestinian farmers in Kafr ad-Dik town, west of Salfit in the West Bank, as well as members of a media crew in a nearby area. Palestine TV reporter Mohamed Ashtiya said that Israeli soldiers detained him for a while and confiscated his ID card, adding that he was along with a crew from the channel when soldiers intercepted their vehicle as they were heading for the town. The TV crew was on its way to cover Israeli settlement expansion activities taking place on annexed land in Kafr ad-Dik town. Israeli soldiers invaded, on Tuesday at dawn, many Palestinian apartments, including one inhabited by a journalist, and conducted violent searches, causing serious property damage. The Palestinian News Agency (WAFA) said the soldiers invaded the apartment of one of its reporters, identified as Zahran Hammad, after detonating the front door. It added that the soldiers violently searched the property, causing Hammad’s children to suffer anxiety attacks, after the army detonated the main door, and stormed into the apartment, including their rooms. The soldiers also invaded and ransacked many neighboring apartments, causing damage. In related news, dozens of soldiers invaded Hebron city, in southern West Bank, before breaking into the home of a former political prisoner, identified as Jamal Karama, and summoned him for interrogation in Etzion military base, north of Hebron. The soldiers also invaded the al-‘Arroub refugee camp, north of Hebron, and searched the home of Mohammad Issa Abu Afifa, whose son was abducted two days ago. Israeli soldiers attacked, on Saturday evening, many Palestinian nonviolent protesters in Salahuddin Street, in occupied Jerusalem, in injured several Palestinians, including a medic, while marching against ongoing Israeli occupation, and the U.S. President’s illegal recognition of occupied Jerusalem as the unified capital of Israeli and his decision to move the U.S consulate to the city. 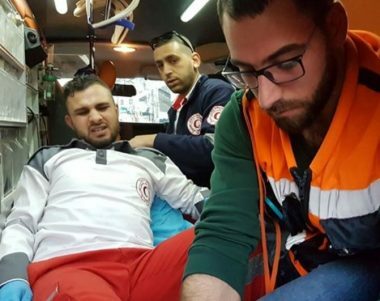 One of the wounded Palestinians is Yasser Darwish, the secretary of Fateh movement in Jerusalem’s al-Isawiya town, who was shot with a rubber-coated steel bullet, before the soldiers abducted him. It is worth mentioning that today’s protest is part of weekly activities in Salahuddin Street, against the illegal U.S. recognition of occupied Jerusalem as the unified capital of Israel, and its decision to move the consulate to the city. Israeli soldiers attacked, Friday, nonviolent Palestinian protesters, marching against the ongoing Israeli occupation, and oppression, and the illegal U.S. recognition of occupied Jerusalem as the unified capital of Israel. 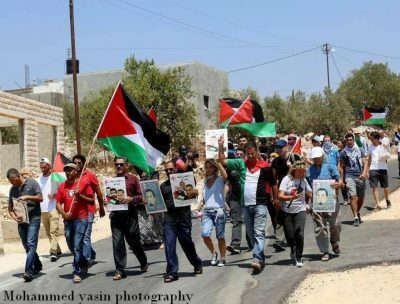 The protests started on Friday afternoon, before the soldiers resorted to the excessive use of force, and fired injured many Palestinians. In Nablus, in northern West Bank, the soldiers assaulted dozens of protesters, especially in Iraq-Burin village, during the funeral ceremony of Ali Omar Qeino, 16, who was killed, Thursday, when a soldier shot him wit a live round in the head. The soldiers also attacked protesters in Burin, Beita and the al-Lubban ash-Sharqiya villages, south of Nablus, and fired many rubber-coated steel bullets, gas bombs and concussion grenades. Medical sources said one Palestinian was shot with a gas bomb in his shoulder, and two others with rubber-coated steel bullets, in the al-Lubban ash-Sharqiya village. Armed colonialist settlers also attacked homes in the village, before the locals managed to kick them out of the village. In Bethlehem, the soldiers attacked nonviolent protesters, and abducted two Palestinians, including Hasan Faraj, a member of Fateh Revolutionary Council. The soldiers also attacked protesters near the entrance of al-Biereh city, in the Ramallah and al-Biereh governorate, in central West Bank, and shot a young man with a Toto expanding bullet, causing a moderate injury. Also in Ramallah, the soldiers assaulted nonviolent protesters in Budrus village, west of the city, and fired many gas bombs, rubber-coated steel bullets and live rounds, and assaulted many reporters. Medical sources said many Palestinians suffered the effects of teargas inhalation, and received the needed treatment. Protesters were also attacked in Hebron, in the southern part of the occupied West Bank, and the soldiers fired many gas bombs, concussion grenades and rubber-coated steel bullets, causing several injuries. In the besieged Gaza Strip, the soldiers, stationed across the border fence, opened fire on dozens of protesters, marching on their lands, close to the eastern border of the coastal region. The soldiers fired many live rounds, and rubber-coated steel bullets, wounding at least one young man, with a live round, and causing dozens to suffer the effects of teargas inhalation. Several Palestinians were kidnapped by the Israeli occupation forces at daybreak Thursday in abduction sweeps rocking the West Bank and Jerusalem. Journalist Omayma Sawalha said the IOF broke into her home in Nablus at the crack of dawn and kidnapped her husband Azzam Abu al-Adas, scholar in Israeli affairs. The latter was released from Israeli jails just five months ago. Another young man—Seif Salah—was kidnapped by the IOF from his home in Nablus’s town of Asira al-Qibliyeh. Israeli settlers reportedly assaulted the home of the Palestinian citizen Ali Shana’a, resulting in heavy material damage. 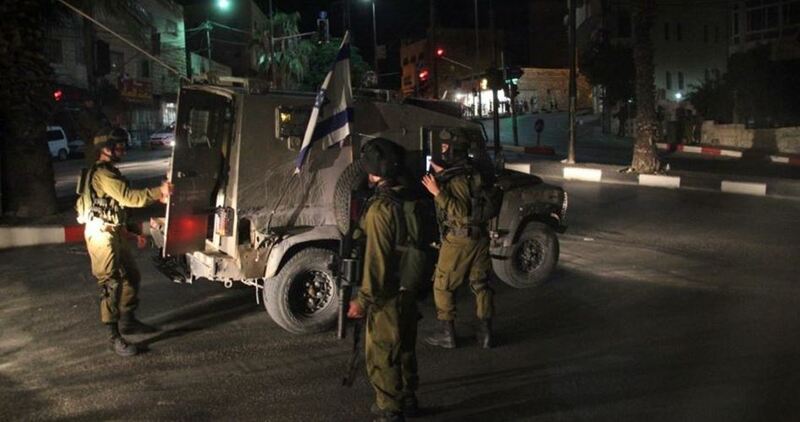 At the same time, three Palestinian youths were kidnapped by the IOF from Jenin province. Youngster Mohamed al-Tamimi, the son of the anti-occupation activist Manal al-Tamimi, was also kidnapped by the Israeli army from the family’s home in Al-Nabi Saleh village, in Ramallah. Two brothers—Mo’men and Iyas Mahmoud—were further kidnapped by the IOF from their home in Ramallah’s northwestern town of Deir Nidam. Meanwhile, Israeli military patrols wreaked havoc on civilian homes in the southern occupied West Bank province of al-Khalil. The campaign culminated in the abduction of the head of the Palestinian Prisoners Society in Occupied Jerusalem, Naser Kaws, after Israeli troops ravaged his home in the Old City. Two more Palestinians were kidnapped by the occupation forces from the city. Israeli Occupation Forces (IOF) on Tuesday detained the crew of Palestine TV during covering the attacks of Jewish settlers on the inhabitants of Deir al-Hatab town east of Nablus. 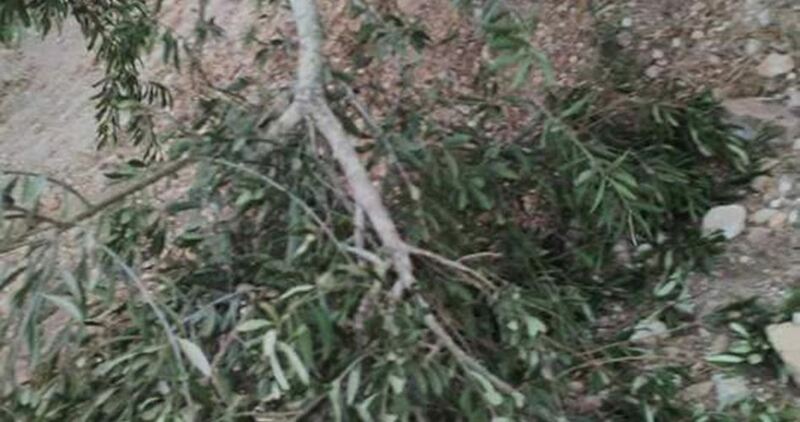 Eyewitnesses revealed that a group of Israeli settlers of Elon Moreh settlement assaulted the journalists who were filming uprooting olive trees by settlers before the intervention of IOF soldiers and detaining the crew. Israeli soldiers attacked, Tuesday, dozens of Palestinian protesters, who marched from the center of Bethlehem city, in the occupied West Bank, heading towards the northern entrance of the city. 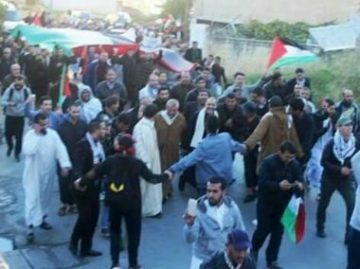 The Palestinians marched from Bab Zqaq area, heading towards Hebron-Jerusalem Roads, then near Bilal Bin Rabah mosque, at the northern entrance of Bethlehem city. The soldiers fire many gas bombs and concussion grenades at the protesters, wounding a lawyer, identified as Farid al-Atrash, and causing several Palestinians to suffer the effects of teargas inhalation. In addition, the soldiers fired many gas bombs and concussion grenades at Palestinian reporters, causing many to suffer the effects of teargas inhalation. The protest is part of ongoing activities and massive processions against the illegal U.S. recognition of occupied Jerusalem as the unified capital of Israel, in direct violations of various international treaties and resolutions. The Palestinian Journalists Syndicate has announced the summary of its annual report for freedoms in 2017, in a special press conference held on Wednesday. The report recorded 909 violations between 1-1-2017 and 31-12-2017, including 740 by Israeli authorities and 169 local violations by Palestinian authorities in the West Bank and Gaza. 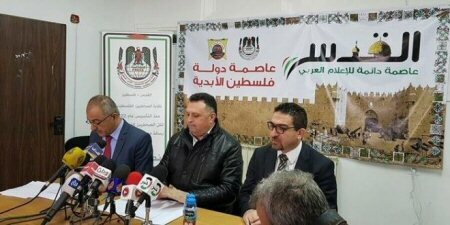 According to the PNN, PJS president Nasser Abu Baker focused in his opening speech on the dramatic increase in the number and nature of these violations, he also mentioned that the FAJ will gather today, in Cairo, to discuss the Palestinian situation. “With this sharp escalation in the Israeli violations against our journalists, it is shameful to see increase in violations by local authorities” Abu Baker said. The PJS president also condemned Facebook‘s step in closing 158 Palestinian accounts based on Israeli request. For his part, the president of the Independent Commission of Human Rights (ICHR), Ammar Dowik, praised the role of journalists, mainly in in field, as they face a high risk of Israeli violations. He also commended the partnership between ICHR and PJS in following up on the violations. Deputy minister of the Ministry of Media Mahmoud Khalifah said that the Israeli violations against the Palestinian journalists targets their narrative and aims to prevent the truth. The Head of freedoms committee in PJS, Mohammed Allaham, introduced the main indicators and numbers in the report. The report said that the second half of last year witnessed higher percentage of violations, and the highest months were December followed by July. Allaham said that the nature of violations in 2017 was different. “October witnessed Israeli closure for 8 offices of 3 media production companies by military orders, with raiding and closing 2 radio stations, two journalists were sentenced by 2 years because of their professional activities as journalists, financial penalty targeted 25 journalist and 28 journalists still in Israeli jails”. – The total violations in 2017 were 909, with 37% increase from 2016 numbers. – Israeli violations are 740 “81% of the total” and the Palestinian violations are 169 “19% of the total”. – Israeli violations in 2017 are more than 2016 by 183 violation “33% increase”. – Palestinian violations in 2017 are more than 2016 by 64 violation “61%” increase. – The highest violations recorded in Jerusalem by 137 violations “18% of the total”, followed by Hebron and Ramallah. – Last December witnessed 147 violations, all by occupation forces, “20% of the total”, with increase by 406% from December 2016. – December Also witnessed organized incitement campaign by Israeli media and social media against Palestinian journalists. – The journalists have faces new violations by Palestinian authorities in nature, mainly the electronic crimes law, blocking and prohibiting 29 websites since last June, arresting the journalists Foad Jaradah in Gaza for 2 months, and arresting 7 journalists in WB with sentencing some of them.